Shocking video footage has emerged of the stabbing in West Delhi on Wednesday night which left a woman, Sunita (35), dead and her husband and son critically injured. 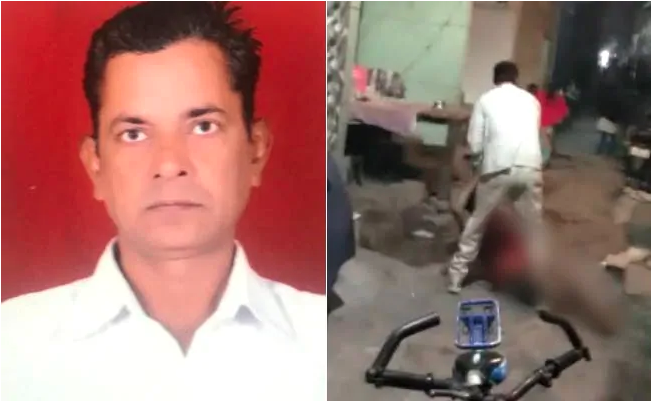 The neighbour who perpetrated this ghastly crime over a minor tiff, Mohammed Abbas (40s) first attacked the son, and when the parents tried to save him he attacked them too, reports news agency IANS. In extremely disturbing visuals shot on a mobile phone by bystanders, Mohammed Azad is seen repeatedly stabbing his neighbour Veeru near their homes in Khyala in west Delhi. He had already attacked Veeru’s wife Sunita, 35, and their son Akash. The stabbing took place in front of children. 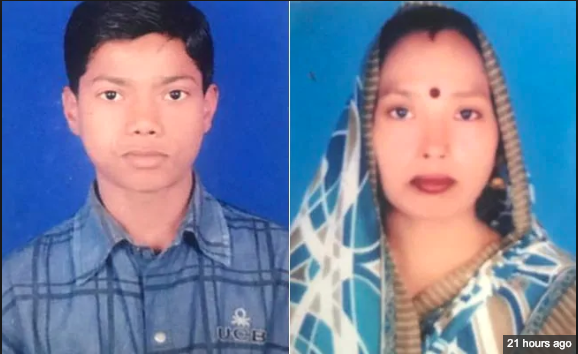 “The victims are Sunita (35), her husband, Veeru (41) and their son, Akash(18). They were taken to a nearby hospital with multiple stab injuries. Sunita succumbed to her injuries during treatment. Veeru and Akash are undergoing treatment,” said Joint Commissioner of Police (JCP) Madhup Tiwari. Akash, on left, is critical in hospital and his mother Sunita, on right, died after the attack. “Today Azad misbehaved with Sunita over the same issue. Sunita later narrated the entire issue with Veeru and Akash following which the fight began. Azad took out a knife from his residence and first stabbed Akash. When Sunita and Veeru tried to save their son, Azad stabbed them too,” said the JCP. Azad has been arrested by police and confessed to his crime. What has been almost forgotten in this whole episode is the plight of the daughter Neha whose age even has not been mentioned in any news report.